Retort pouches have grown to be much more effective and versatile packaging solution compared to traditional approach. 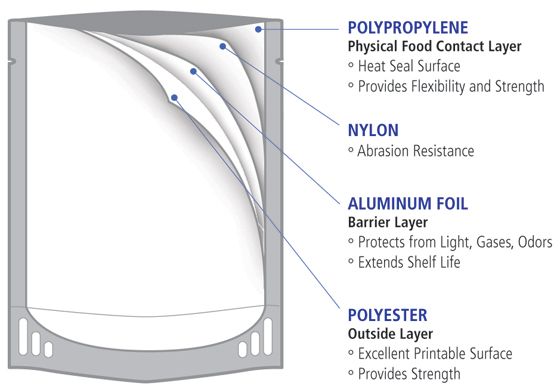 Packman provides high barrier retort bags that are a really flexible packaging solution for processed food along with other prepared to eat foods. Our retort pouches provide convenience within the packaging of pre-cooked foods and lead to more atmosphere friendly packaging option. 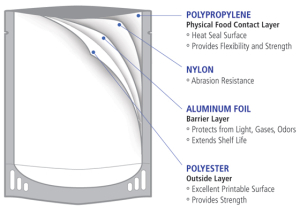 Retort bags are highly appealing to customers due to their food protecting feature. We add metallization and aluminium layers which be sure that the quality from the items could be maintained. They provide high barrier while increasing shelf existence and turnovers. This packaging solution supplies a bountiful quantity of space for product branding along with other information. Because of their convenience, retort pouches have changed the standard type of can and bottle packaging designs. We take advantage from the rotogravure printing way of all of our retort bag printing. We consume to 9 colours inside the printing process. Retort pouches are packaging friendly because they are easily moved and saved due to the benefit of the unique bag form. They’re packed in a variety of ways in stores, supplying store with increased marketing options. Fresh foods produces plus much more. Retort bags are secure for that direct utilization of food items. These pouches withstand hot temperature and they’re leakage-proof which enables for that packaging of liquid substances and pre-cooked meals. Our retort bags are eco-friendly, economical and therefore are created using the greatest quality materials.